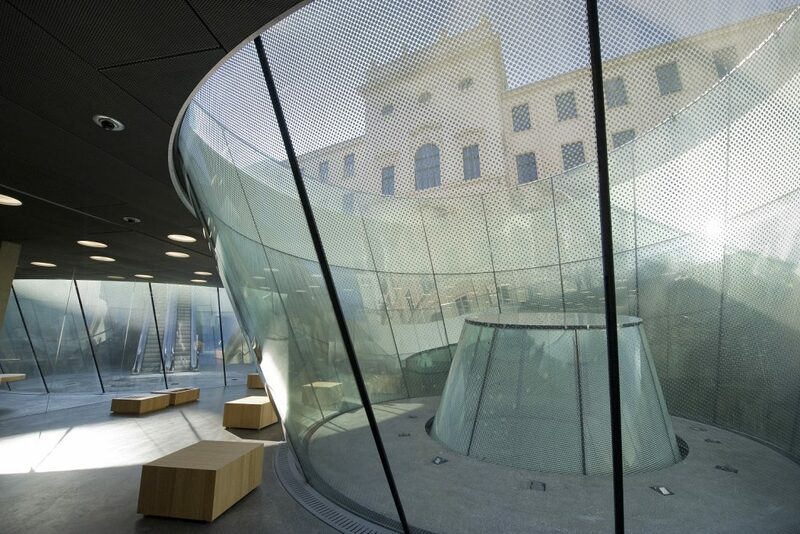 In 2011, to mark the 200th anniversary of the Universalmuseum Joanneum, the Joanneum Quarter was opened in the heart of Graz Old Town. Since then it has been a popular meeting place for people of all generations. 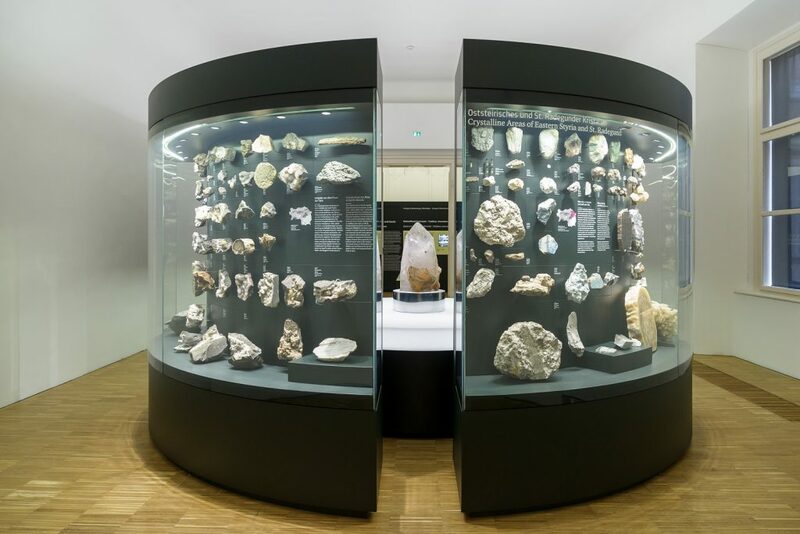 Art connoisseurs who admire masterpieces in the Neue Galerie Graz, nature-lovers embark on a journey through time to discover the geological history of Styria at the Natural History Museum, while those who prefer to browse through books and magazines can visit the State Library. And that’s not the only reason the Joanneum Quarter is a popular meeting place for people of all generations: there are also cultural events right on the wide square in the summer, while in winter the pleasant Christmas market is a great place to have something to eat or drink. 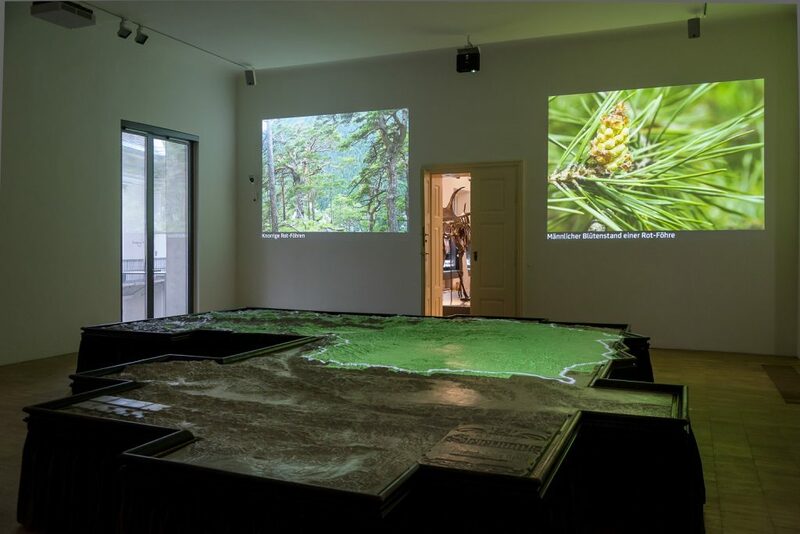 The history of today’s Joanneum Quarter is genuinely exciting: The Joanneum Quarter was once closer to nature than it was to culture. When the Joanneum was first founded in 1811, a Botanical Garden was built on this site. The garden served as a park for the population and extended as far as where the Andreas-Hofer-Platz is today. The park was abandoned in the late 1880s and parts of it moved to the Botanical Gardens. 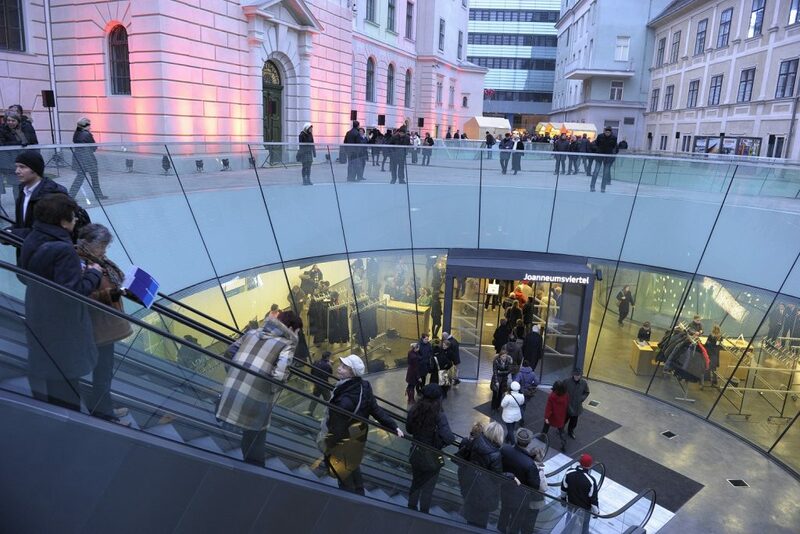 To this day, however, nature and its creatures still hold an important place in the Joanneum Quarter, as the Natural History Museum entices visitors inspiring museum tours. 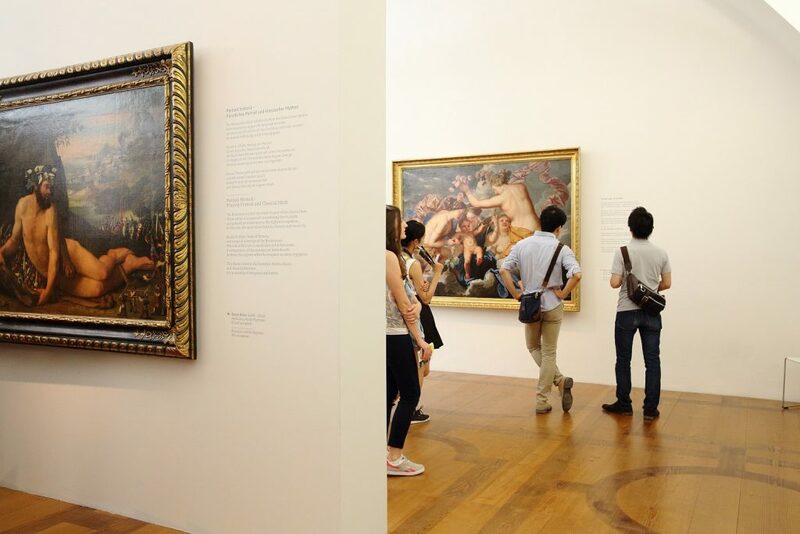 The area is also home to the Neue Galerie Graz, which in turn houses treasures of modern and contemporary art. In addition to museum experiences, the Joanneum Quarter is surrounded by culinary establishments – how could it be otherwise in the epicurean capital of Graz? Those seeking peace and quiet can sit in one of the Joanneum Quarter’s beer gardens and enjoy the sun with a glass of Styrian wine and a view of the lively museum life. It’s the ideal way to end a day on the Styrian Wine Country Cycle Trail or the River Mur Cycle Trail.